On 11th November 1534, Philippe de Chabot, Seigneur De Brion and Admiral of France, landed on English soil. The purpose of the diplomatic mission he was leading was to renew Anglo-French relations. As Clare Cherry and I point out in our biography of George Boleyn, England had become “more and more isolated from her European cousins”1 due to Henry VIII’s annulment of his marriage to Catherine of Aragon, his break with Rome and his marriage to Anne Boleyn, so this French embassy was hugely significant. “It may please your highness to be advertised, that the admiral of France hath remained here since Thursday at night, and as yet his whole train both of horses, mules and men, be not come hither nor unshipped. But by tomorrow I doubt not but all his whole train shall be here assembled together: and upon Monday, I will bring him to Sittingbourne, there to remain that night, for that it would be too sore a journey to bring his carriage to Rochester in a day. On Tuesday from thence to Rochester. On Wednesday to Dartford; and on Thursday, by 12 o’clock at noon, to Blackheath; where as my Lord of Norfolk is appointed by your grace to meet him. I would not have him remain so long in this town, but that himself was very desirous so to do, because that he would come with his train whole together, which I thought might not for your graces honour gain saye. And thus, beseeching God to have your highness in his keeping, I make an end. According to Eustace Chapuys, the imperial ambassador, the Admiral finally arrived in London on 17th November.4 George must have been tearing his hair out! You can read more about George, his relationship with King Henry VIII and the missions he was entrusted with in George Boleyn: Tudor Poet, Courtier and Diplomat – click here to find out more about the book. Now, the Admiral’s visit didn’t quite go the way the Boleyns planned. 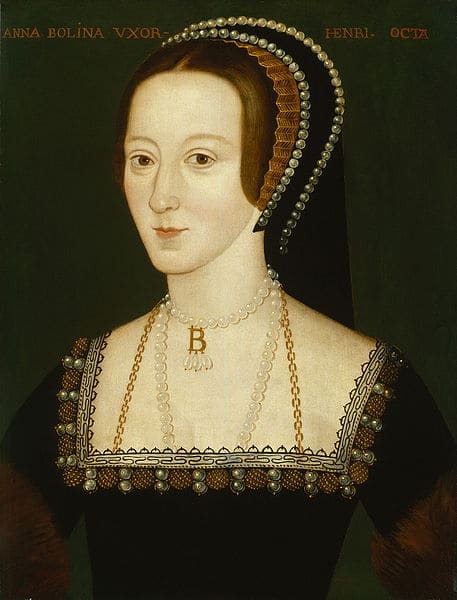 Unfortunately, although Henry VIII and Anne hoped to make an alliance with France by way of “propositions for the marriage of the King’s second daughter”, i.e. Elizabeth, to the Dauphin, the Admiral actually put forward the idea of a marriage alliance between Mary, Henry VIII’s daughter by Catherine of Aragon, and the Dauphin.6 “The desire by the French to enforce the match was on the understanding that Mary remained legitimate, which would mean the undoing of the Acts of Succession and Supremacy. This came as an unpleasant surprise to Henry and as utter horror to the Boleyns.”7 Anne was not amused, and Chapuys recorded her as being “very angry at it”.8 Henry VIII countered by offering Elizabeth in marriage to the Duke of Angoulême, Francis I’s third son, but that just wasn’t the same as marriage to the Dauphin, Francis I’s heir, and the French rejected this offer anyway. 1541 – The King’s Council sent Archbishop Thomas Cranmer a letter giving him instructions to move Queen Catherine Howard from Hampton Court Palace to Syon House, formerly Syon Abbey. It is also thought to be the day when Catherine’s alleged relationship with Thomas Culpeper came to light. Click here to read more about this. 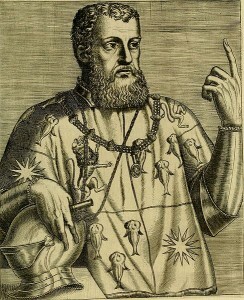 Image: Philippe de Chabot from Les vrais pourtraits et vies des hommes illustres grecz, latins et payens (1584) by André Thevet. Cherry, Clare and Ridgway, Claire (2014) George Boleyn: Tudor Poet, Courtier and Diplomat, p. 199. St Clare Byrne, Muriel (1981) The Lisle Letters, Volume 2, 304.
Letters and Papers, Foreign and Domestic, Henry VIII, Volume VII, 1427. Cherry and Ridgway, p. 201-202. Cherry and Ridgway, p. 202. Cherry and Ridgway, p. 203.